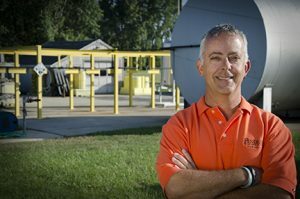 Beginning in 1986, the University of Findlay launched their Environmental Safety and Occupational Health major and certificate. It was the first hazardous waste management program in the state, and it remains an internationally recognized program. Students receive hands-on training beginning in their freshman year at UF’s nationally-known All Hazards Training Center. The program has a 100% placement rate and average starting salaries are around $50,000. Many students work for OSHA and the EPA. Students need strong communication as well as technical (science) skills. Environmental, safety and health management students work summers for employers including the Ohio EPA, Marathon Petroleum and Rolls-Royce. For students interested in “Fashion,” the first distinction to make is the difference between majors in “Fashion Design” and “Fashion Merchandising.” Fashion Design focuses on the nuts and bolts of designing and making clothing and accessories (we’re talking sewing machines, patterns, fabric, etc.). Students study fashion sketching and illustration, computer design, pattern making, and fabric selection. It is a very demanding and time consuming major and the Devil is always in the details. Fashion Merchandising, on the other hand, focuses on the skills aligned with the demands of a retail or wholesale fashion/clothing buyer. Students learn about the fashion industry and the attributes of fashion styles and products – their design, manufacture, and distribution. They also may take courses in the Business school such as Marketing and Retail Sales. 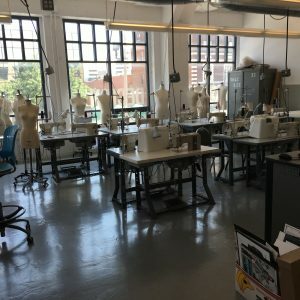 Ohio has only four colleges offering majors in Fashion Design: They include one of the best in the country at Kent State University’s “Fashion School” where they offer a BA and BFA in Fashion Design. Not far behind is Columbus College of Art & Design’s program in Fashion Design and University of Cincinnati’s major in Design – Fashion. Finally, Ursuline offers the only adult program in Fashion Design in the state. 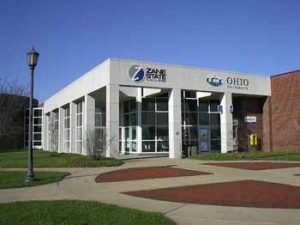 Alternatively, there are many programs in Fashion Merchandising in Ohio, with offerings at Kent State University, Ashland University, Bowling Green State University, University of Cincinnati, Ohio University, Ohio State University, University of Akron, and Ursuline College. Did you know that only one Ohio college offers an undergraduate major in Planetary Science? So, who offers it…..
Planetary Science is an interdisciplinary field that integrates coursework in Geology, Astronomy, Chemistry, Geography, and Physics all in the service of understanding planets and other small celestial bodies in our solar system and beyond. Students explore the origin of planetary systems; review planetary geochemistry and geology; and apply remote sensing data to help understand planetary terrestrial environments. One might think it more likely that a large, comprehensive public institution would have the academic horsepower to pull together and integrate all those areas of study into one program – wrong! Most Planetary Science students double major with either Geology, Chemistry, Physics, Geography, or Astrophysics. Most move on to graduate school in one of these areas of interest. So, enough wondering and waiting. So, where is the only Planetary Science Major in the state of Ohio? With all those hints, you may have guessed by now – it’s at Ohio Wesleyan University! OWU has a long history of offerings in the astronomical and geoscience areas. They even have two observatories on or near campus. 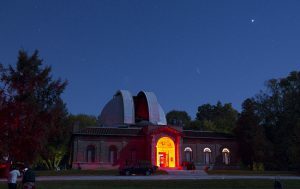 Granted one is used by the Astronomy Club and is a bit run down and the other (Perkins Observatory) serves a broad audience including the community, students, and faculty/student researchers. Either way, Ohio should be proud to have this unique offering….even if only at one institution. The Toxicology Greenhouse is behind that locked door! We’re dying to get in! There are only 10 undergraduate Toxicology majors in the United States and one of them is in Ohio! So, what is Toxicology? It’s the study of the effects of poisons on living organisms. The curriculum includes extensive work in chemistry and biology as well as a course sequence specifically in Toxicology. 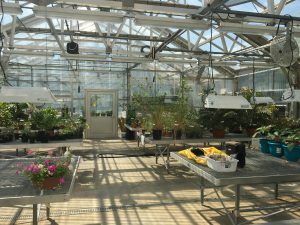 Students ponder such questions as, “why some plants and animals are poisonous; why certain drugs have side effects; and how exposure to certain air pollutants impact human health?” The program is served by a special Greenhouse that grows toxic plants for use in the program. Needless to say, it is kept under lock and key. Of course, most students majoring in Toxicology don’t plan on becoming toxicologists. Instead, they integrate the required courses for admission to medical school, dental school, pharmacy school, and others (most of those courses are already required) and go on to one or another health science graduate schools. How cool is that? So, where is this unusual program offered? None other than at our very own Ashland University. It also might interest you that the median salary for a Toxicologist in 2016 was $74,000. Petroleum engineering is the study of how to locate and extract energy resources, such as oil and natural gas, from the earth. While Geologists and Geophysicists work to find Oil and Gas, Petroleum Engineers are concerned with how to get it out of the ground. PE is the highest paying of all Engineering Fields with the 2016 median salary of $152,000. 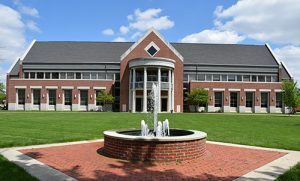 The Petroleum Engineering major is found at only one college in Ohio and it is a small liberal arts college located in the heart of Ohio’s oil country. It is the 10th largest program in the country and the only one at a small liberal arts college. This college also offers an excellent Geology program with petroleum options and another in Land and Energy Management (“Landmen” enjoy a median salary of $93,000). 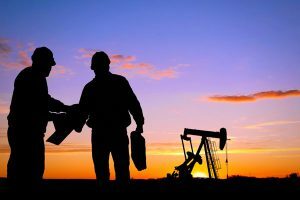 Petroleum “Landmen” represent oil companies in their attempts to identify land owners and negotiate oil and gas leases with them. So which college are we talking about? You may have guessed – beautiful Marietta College located in the Appalachian foothills of southeast Ohio is the place. 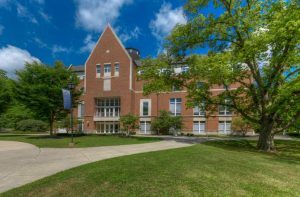 Offering a full slate of residential college activities (fraternities, sororities, student organizations, student athletics, and intramurals) as well as a broad set of arts, sciences and professional majors, Marietta College is worth exploring. 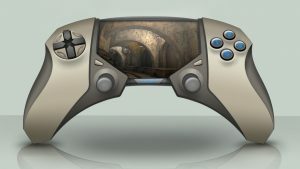 Industrial designers are concerned with the appearance and usefulness of manufactured products. 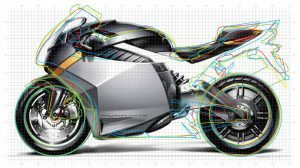 When creating products, industrial designers think about technical performance, environmental concerns, human comfort, and appearance. Since industrial designers are employed wherever products are planned for mass pro­duction, there are ample career opportunities available. 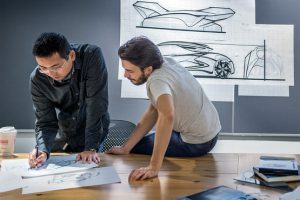 Industrial designers are typi­cally hired as consultants or on the design staff of a corporation and work on projects including automobiles, human-powered and single person vehicles, furniture, appliances, house wares, electronic equipment, tools, toys, and others. In 2016 the average salary for an industrial designer was $67,000. There are only four industrial design academic programs in Ohio. These programs are typically found in art and design departments or colleges and most begin with a set of “art foundation” courses. As students progress, design software becomes central to the work. So, where are these programs? Ohio is blessed to have one of the top programs in the United States. Design Intelligence recently ranked the University of Cincinnati’s Industrial Design program first in the country. Other high quality programs are also found at the Cleveland Institute of Art, Columbus College of Art and Design, and The Ohio State University. Here is the first College Bound Advantage Newsletter! Thank you for wandering down the trail with us. So far we have set up camp in some interesting places. 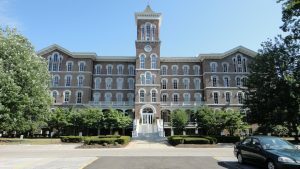 Let’s see…we took a look at Ohio’s Big 5 Liberal Arts Colleges; explored Ohio’s Art and Design Colleges and wandered through Ohio’s Christian Colleges. 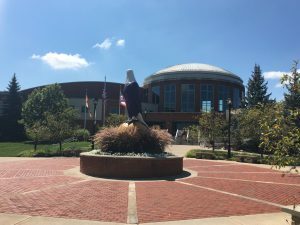 We also took a look at some of Ohio’s private colleges with world class professional programs and also those who have historically emphasized the liberal arts, but are now offering some impressive professional majors as well. After all that, it’s hard to believe that we have only begun our journey. Our next stop will be interesting. 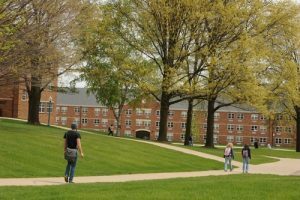 As we toured colleges last year, we kept an eye out for uncommon major offerings and found some fascinating undergraduate programs that are only available in one or a few of Ohio’s colleges. Our next stops will take a closer look at some of those. Heidelberg University is situated on 110 acres in Tiffin, Ohio. Founded in 1850, Heidelberg offers over 36 major areas of study to their over 1,000 undergraduate students including strong programs in Education, Business (ACBSP accredited), Criminology (more policy focused as opposed to badges and guns focused), and Athletic Training. Students interested in a growing and developing marching band program, Heidelberg may the place – they recently hired former OSU band director, John Waters. 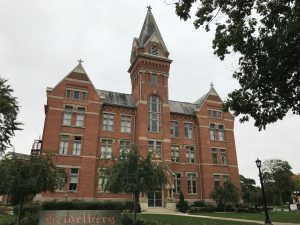 For students who want an intimate, small university experience, but who also appreciate a beautiful campus, top-notch facilities, vibrant Greek system, active NCAA Division III varsity and intramural athletics, and solid academics, Heidelberg is worth a long hard look. 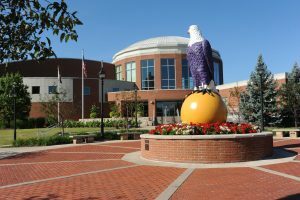 Ashland University is a small (2,500 full-time undergraduates), private university located in Ashland, Ohio. Ashland was founded in 1878 and is affiliated with the Brethren Church although Ashland’s faculty and students hail from a wide variety of faiths. Today, located on a beautiful 135 acre campus, the university offers nearly 70 undergraduate majors and nine pre-professional programs. With Colleges of Business & Economics, Nursing, and Education, Ashland is organized and resourced for strong professional programs in those areas. The education program, which offers pre-K through doctorate level courses/major, is one of the largest among independent and state institutions in Ohio. It is their signature program. Of course Ashland has more than academics. They also offer 100 student organizations, vibrant athletics, an active Greek system, and plenty of things to do on campus. We liked Ashland and imagine you will too. If you visit, don’t miss their Toxicology Greenhouse, Geology mineral collection, or learning about the Ashbrook Scholars Program.